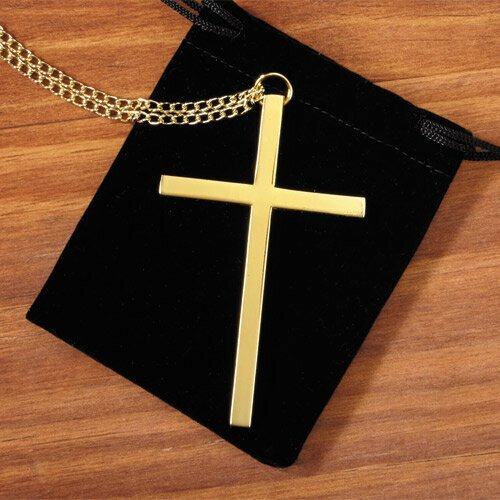 Our clergy cross includes a 32" L chain and comes with a velvet pouch for safe storage. Not suited for engraving. Also available in Silver Finish (#WS626).